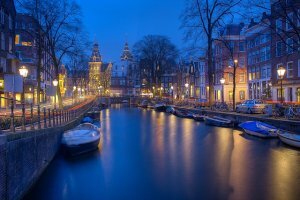 Where in Amsterdam are the best Cultural Sightseeing places? Cultural Sightseeing: Amsterdam is one of the most culturally diverse locations in Europe. Home to over 80 museums alone, you could dedicate an entire trip to seeing them and not finish. Never mind all the parks, theatres and other cultural attractions the Dutch capital has to offer. The most important museums of Amsterdam are located on the Museumplein, or Museum Square. This location was originally created on the grounds of the World’s Fair in the late 19th century. Here you can find such notable buildings as the Rijksmuseum, the Van Gogh Museum and the Stedelijk Museum. Amsterdam was the home of both Rembrandt and Van Gogh and many of their works, and those of Rembrandt’s apprentices, are on display. This includes the masterpiece “The Night Watch” which is one of the most popular attractions. Outside of the permanent attractions Amsterdam has been the host of many festivals. In 2008 there were 140 different vents, that is an average of a festival every two and a half days. Particularly noteworthy festivals include the Holland Festival which is dedicated to the performing arts, Prinsengrachtconcert which is a classical concerto on the Prinsen canal, and The annual Uitmarkt in late Agust which is a three-day cultural event at the start of the cultural season. The city is also famed for its nightlife. The city is full of terraced cafés and it is not unusual to see these packed with people during the summer. As a multicultural hub there is an almost endless variety of restaurants and other places to eat. These range from the luxuriously opulent to the cheap and cheerful, literally catering to any desired taste. With so much to see and do in Amsterdam it is important that you find something both convenient and affordable. If possible, it would be best to stay in the city centre to ensure that you have the best access to everything else. Fortunately, Amsterdam Hostel Uptown is ideally located as accommodation that is both affordable and comfortable.